Based in Brooklyn, the legal team at Gary A. Zucker & Associates, P.C. has been helping clients throughout the greater New York City area for years. Our commitment to plaintiffs extends from premises liability lawsuits involving local businesses to complicated litigation involving defective parts that lead to auto accidents. With regard to the latter, we would like to consider a few concerns that are related to door latch defects and major injuries following car accidents. What is meant by a door latch defect? Door latch defects refer to problems in the locking mechanisms of car doors. Specifically, these kinds of defects often occur following an initial impact, with the door of a vehicle thrown open even if the door was not affected by the collision. Ideally, the door of a vehicle should not open if it was unaffected by the impact of the collision. If a door latch is defective and the door comes open while the vehicle is in motion, this could lead to severe accidents. The driver or passenger may accidentally fall out of the vehicle, leading to severe injuries. In addition, any adjacent motorist or bicyclist may be affected by the open door, increasing the possibility of serious collisions and injuries. During a serious auto accident, it is usually better for the accident victim or victims to remain within the vehicle. If a door latch comes undone and the door opens, a driver or passenger can be thrown from the vehicle, resulting in severe injury following the initial impact of the collision. These issues with door latches are particularly important during rollover accidents. 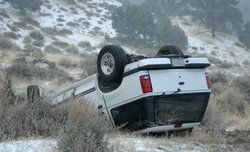 During a rollover accident, a driver or passenger may be thrown from a vehicle with extreme force and momentum toward the road, or may wind up partially ejected from the vehicle and crushed by the automobile in the process. Door latch defects often occur due to faulty design of the locking mechanism in the door. Car makers may not have sufficiently tested the latching mechanism before placing the vehicle on the market, which means extreme negligence on the part of the auto maker. If the design was not the issue, there may also be a problem that occurred in the auto plant. Perhaps quality checks were not properly in place to note poor craftsmanship. Regardless the cause, this is still not an excuse for placing a potentially dangerous product on the market. Our product liability attorneys are on the size of the consumer, and we believe that negligence in the automotive industry needs to be taken vary seriously. Following a serious door latch-related accident or injury, we will fight for you to ensure that you receive just compensation for injuries sustained and property damage as well. We will also push for better standards from the auto maker and the industry to help ensure that avoidable tragedies such as this do not occur again. Schedule a Consultation at Gary A. Zucker & Associates, P.C..
For more information about your legal rights following a major auto accident, be sure to contact our personal injury law firm today. The attorneys of Gary A. Zucker & Associates, P.C. will fight diligently to ensure that accident victims and their families receive just compensation following a major collision.